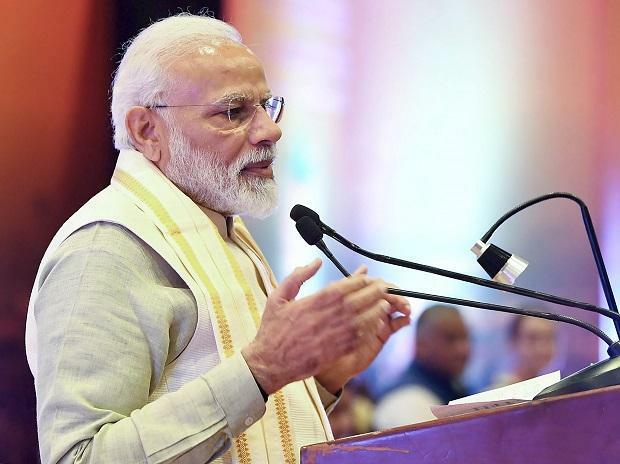 Prime Minister Narendra Modi launched the Pradhan Mantri Shramyogi Mandhan Pension Yojana, a pension scheme for workers of the unorganised sector in Gujarat. Modi targeted Congress President Rahul Gandhi over poverty, saying only those oblivious to sleeping hungry at night can think that it is a state of mind. For some, poverty is just an opportunity to click photos, Modi said, sharpening his attack on the Congress chief. "This scheme is aimed at uplift of the section of society which has been ignored and left at the mercy of God. They (Congress) gave slogans of garibi hatao (end poverty). Some projected themselves as messiah of workers. But during their tenure they did not launch such a scheme, he said. "They ruled the country for 55 years and collected votes in the name of poor," he said. "This sche­me has been laun­ched by our government as a tribute to the unorganised sector, who can earn some money till their body is fit but are worried about what will happen to them when they get old, Modi said.